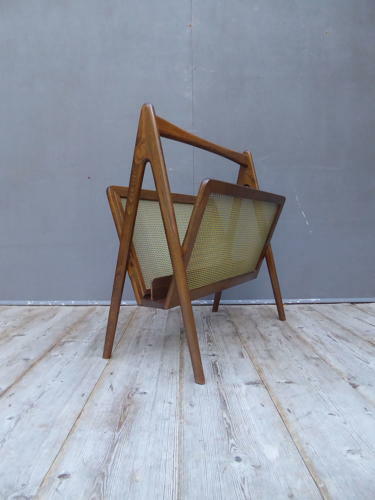 A fantastic mid century magazine rack. A wonderful & unusual example, the high quality walnut frame supporting mesh panels either side. A stunning example of excellent form. Wear commensurate with age, great condition overall.